After being MIA from the kitchen for most of the summer, you can’t blame a girl for having food on her mind in a big way. I’ve begun to dream about food again. Cookbooks are once again keeping company with other reading material on my nightstand. My mind is mostly on new cakes and other sweet treats but pasta recipes are always inspiring. 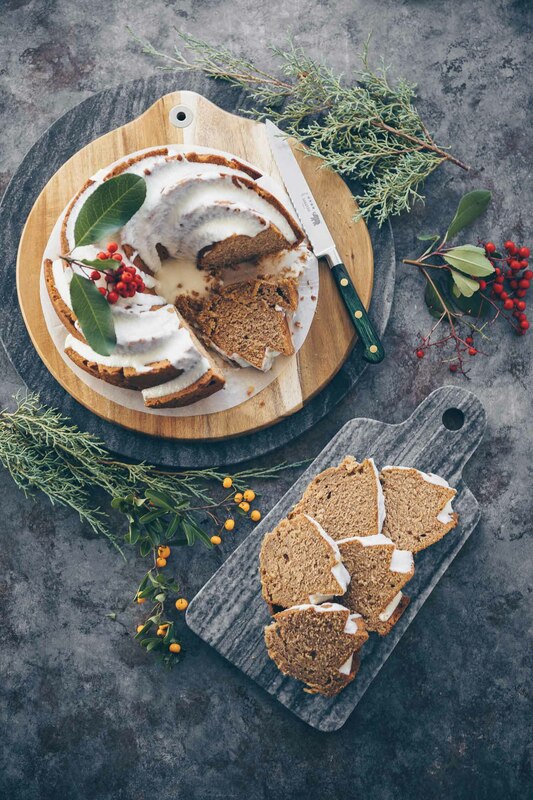 It’s a good thing the holidays are almost upon us–I’ve got lots of cooking to do! This past weekend some very good friends paid a visit, their arms loaded with a complete lunch for four. I had planned to serve dessert but they had that covered, too. 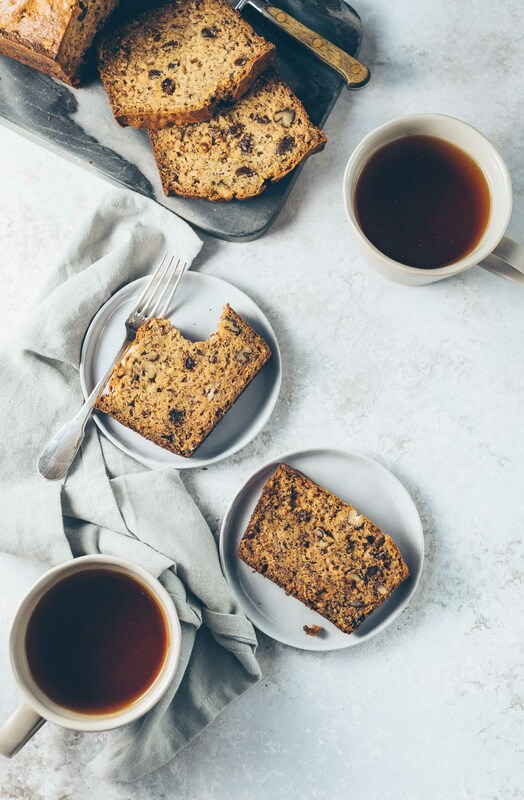 As I didn’t have enough time for a more involved cake or tart that day, I decided on a super simple treat instead. I had fresh figs, mascarpone cheese and assorted liqueurs stashed away. Remember this simple dessert using mascarpone with Cointreau-soaked bluberries? I was inspired to liven up the mascarpone with liqueur, this time using chocolate. 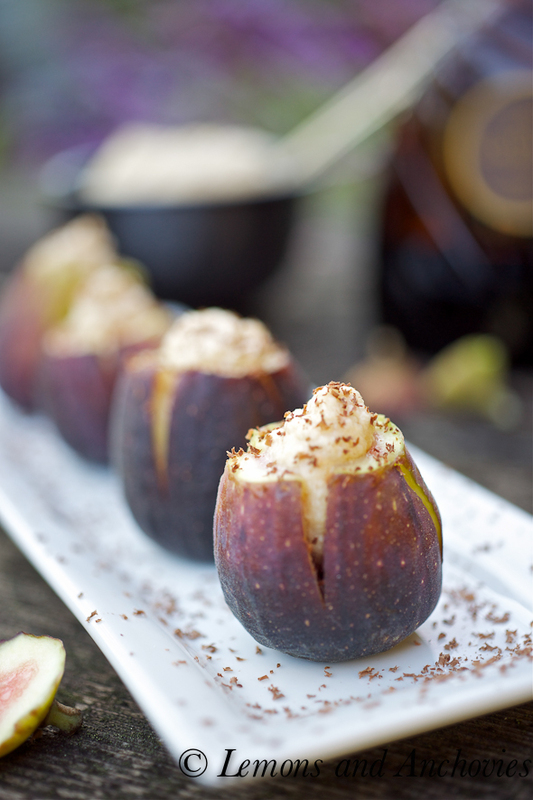 I stuffed each fresh fig with the chocolate mascarpone and amped the flavor with dark chocolate shavings. Delicately sweet, fresh figs are truly wonderful on their own but the lightly-spiked cream cheese wasn’t a bad addition either. I can see serving these at a dinner party. Simplicity at its best. In a small bowl, combine top three ingredients and set aside until ready to use. When you cut the figs, make sure not to cut all the way down to the bottom of the fruit. 3/4 of the way down is sufficient. Use a pastry bag to stuff the figs or, if you don’t have a pastry kit like me, use a sandwich bag with the end snipped off to do the job. It works just fine! What a delicate and beautiful dish. Thanks for sharing! I agree. I have combined mascarpone and figs for years, but usually I put the figs in individual filo pastry shells and fill the shell with Mascarpone. Today, I thought about the addition of chocolate shaving but forgot to purchase pastries and I have to put these together while I am work. I found this beautiful presentation and now will never go back to my original! Thank you for sharing your beautiful creations. 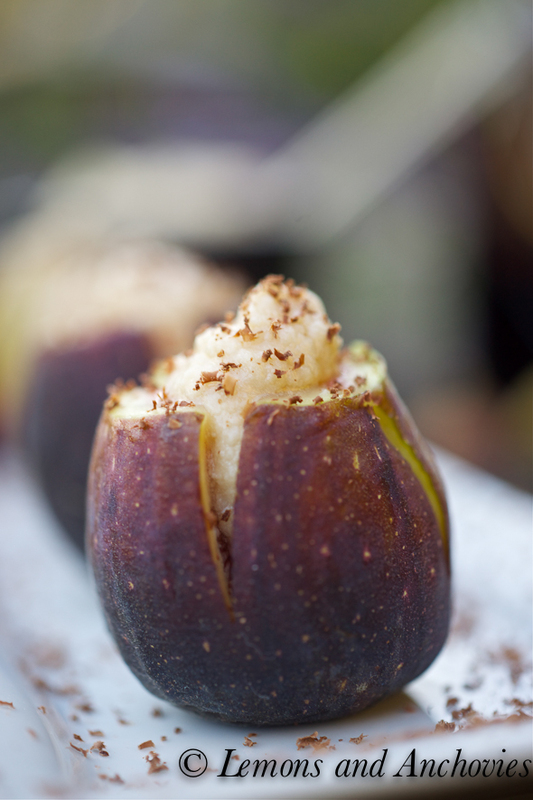 If I could only find some fresh figs in my part of the world! It doesn’t take much to convince me to try figs in a new way. But mascarpone and chocolate? Oh my, I already love it! Now this is a different recipe! I may give this one a try! Lovely. And your photos are so vivid I wanted to reach in and grab one. Simple and elegant. Love, love, love. What a beautiful dessert. & I love to hear that cookbooks and magazines have made it back on to the night stand. (me too) That is how I know I feel good about cooking again! Welcome back! I have been MIA myself… It has been nice to take a break but yes, its nice to be back to food blogging. 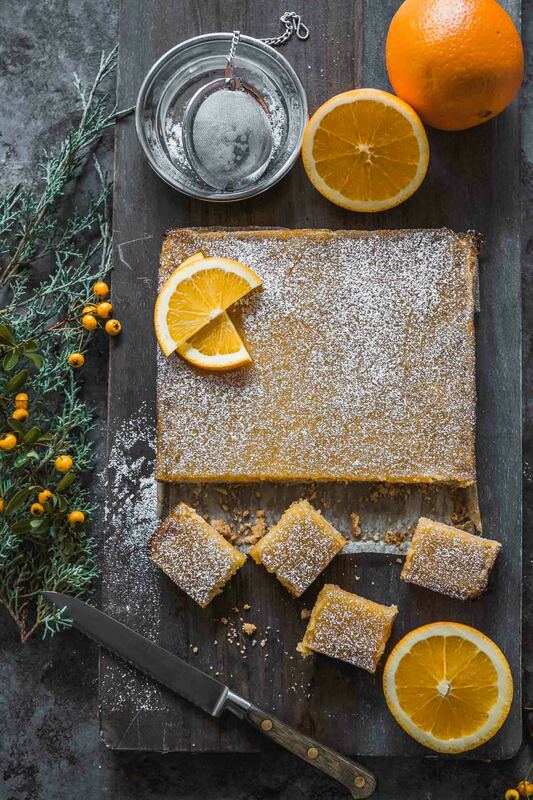 Fast desserts are my favorite, and these are so elegant too! Yup, I am making these, but maybe with Frangelico and toasted hazelnuts instead of chocolate. It’s so, so good to have you back. Oh I love this, what a nice little bite. These look super yummy. Wonderful idea and beautiful dish! These are gorgeous! You’re right…sometimes simple and fresh is exactly the way to go. I love the chocolate liqueur mixed in. Oh my goodness. I had something like these with dates a long time ago. What you just made is unbelievable ! Thanks for sharing! Some of the simplest dishes are the best! These look beautiful. What a nice treat. Fresh figs are MIA around here. Oh wow. 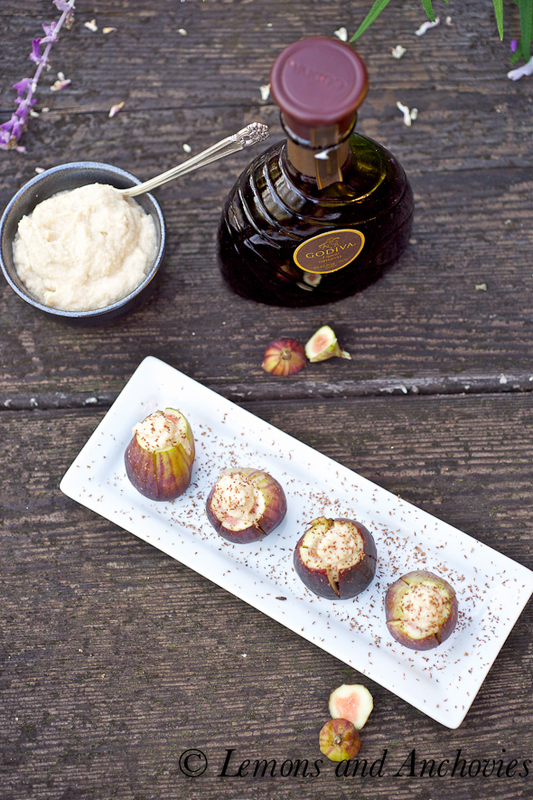 These figs sound amazing – and with the liquor too…. Just wow. 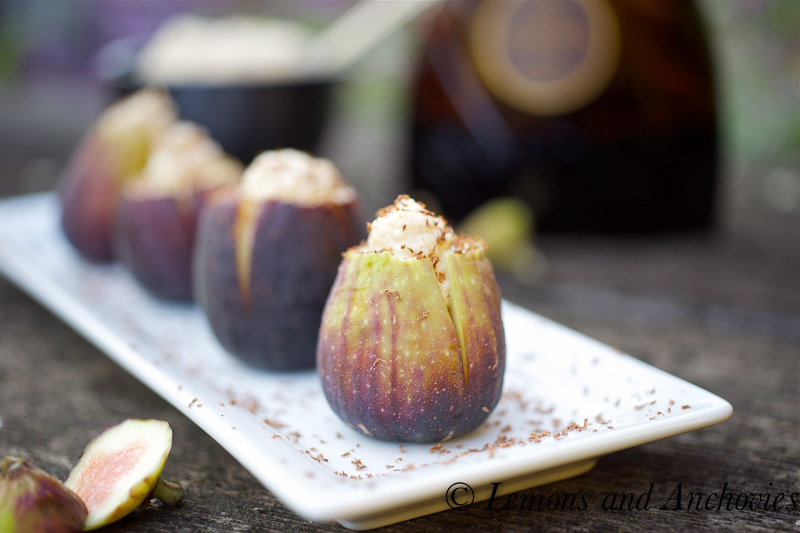 I love figs and mascarpone! This is a fabulous and scrumptious idea!